student service resources will help you earn your college degree! More than 70 percent of Americans matriculate at a four-year college, but less than two-thirds end up graduating, according to the Organization for Economic Cooperation and Development. There are many reasons why one third of Americans aren’t able to complete their degrees. While cost is certainly a factor, so are support services offered to students during their time at their college or university. Studies show that students who use academic counseling services, tutoring, and career development assistance offered by their college or university are more likely to stay in school and finish their degree programs. 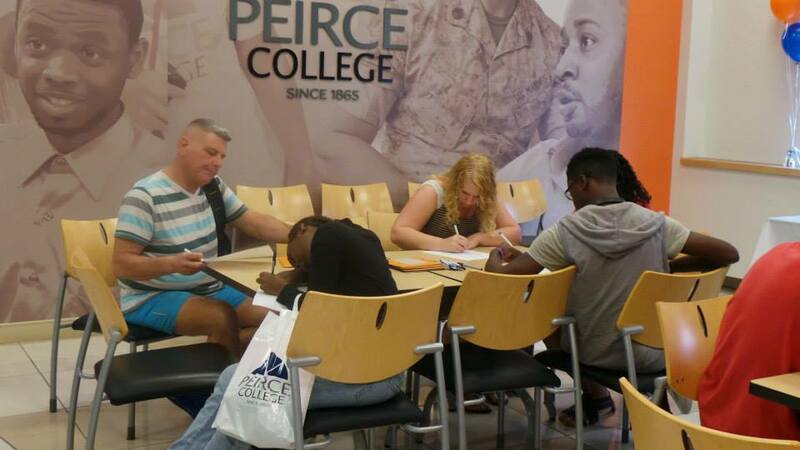 With Session 1 beginning this week, we wanted to provide a refresher of the student services offered at Peirce, and how they can help you on your educational journey. Academic Advising and Guided Peirce Services. These two departments work closely together. Their mission is to provide you with the guidance and support to stay on track to completion. Our advisors and GPS teams can help you understand your program requirements and can also help you register for classes and even order your books. They stay abreast of program needs, changes, and activities and communicate those to you so you can be in the know. Career Development Services. Our Career Development Services team will help you in every step of the career preparation process, from finding an internship or job to preparing your resume or prepping for an interview. We recommend visiting CDS very early in your degree program, so you can start laying the foundation for your career right away. In our Career Center, you can also use state of the arts computers to work on your career search documents. The Walker Center for Academic Excellence. Whether you need help on a particular assignment or are looking to expand your skills, advisors and tutors are available to help you at the Walker Center. We also provide disability services, international student services, and workshops throughout the year. First Year Initiative Program. The first year of college is a transition for many, and our First Year Initiative program was created to help students adjust more smoothly. We know what services help you. We guide you, support you, and we provide you incentives to stay on track. At the end of the year, we hold an awards ceremony that includes recognition for your efforts. We also have a scholarship opportunity to encourage you to stay the course. The Peirce College Library. The Library, located on the 7th floor of College Hall, has computers and online research databases available for current students, faculty, and staff. We also have MLA and APA style guidelines, and librarians on staff to help you find the information you’re looking for. Military Support. We feel it’s very important that military members have a strong support team as they transition into civilian life as a college student. We have a military support team dedicated to helping military members enroll and receive the appropriate benefits, and students can feel free to reach out for additional support throughout their time at the College. We also offer the Protect & Serve Grant, where eligible military members and their families can receive 25 percent off of their tuition. I encourage you to use these support services to enrich your college experience. If you have any questions about our support services or how you can use them, just leave them in a comment below. We’ll also be sharing the workshop schedules for some of these departments in the upcoming weeks. Make sure to check them out!